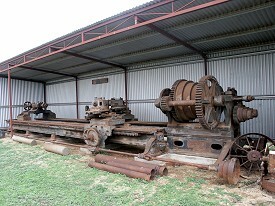 Granite Lathe - Moruya Antique Tractor & Machinery Assoc. Inc. 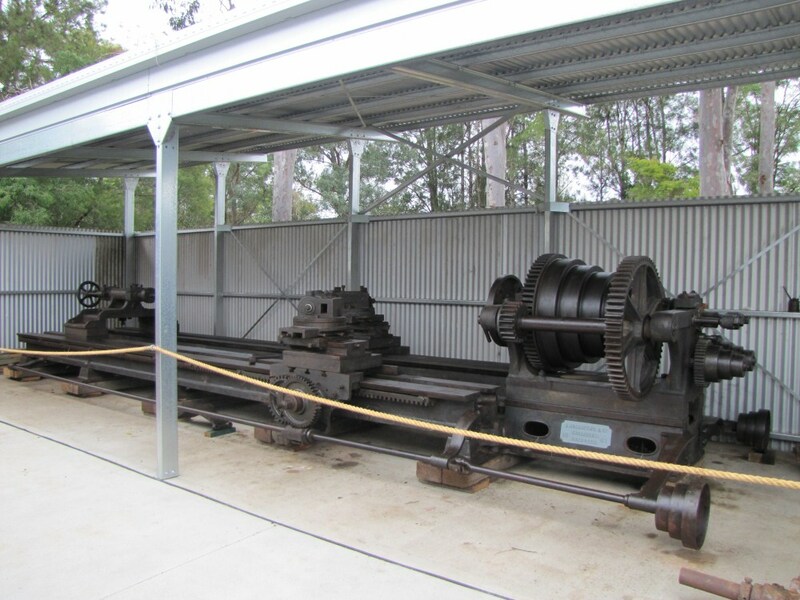 The huge stonemason's lathe you see here, has a strong link with the township of Moruya and its granite history. 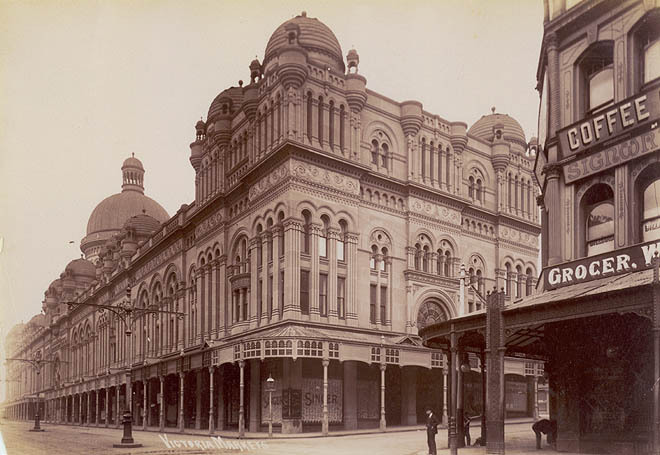 It's well known that the granite used in the massive pylons of the Sydney Harbour bridge came from Moruya, but what isn't so well known is that Moruya's granite was widely used on many different buildings and monuments of the late Victorian era. 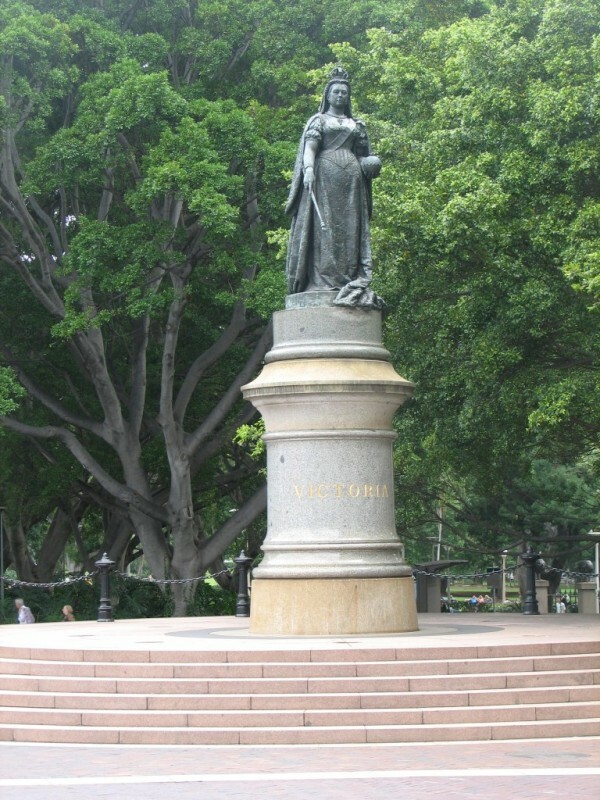 Examples of this, are the 8 ton columns on the Sydney GPO in Martin Place, the Queen Victoria building and the granite pedestal of Queen Victoria's statue in Queen's Square, Sydney. 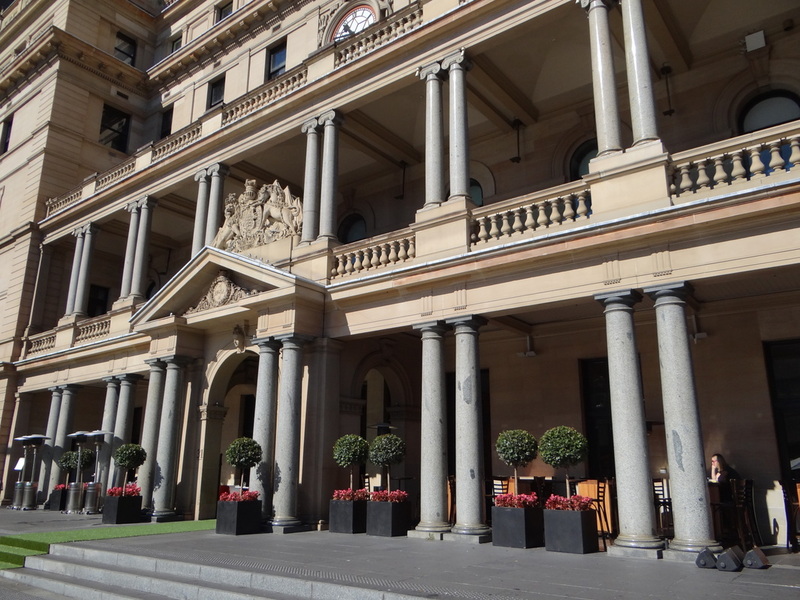 To complete these jobs the granite needed to be turned and polished, a task requiring the use of a stonemasons lathe, .......a big one. 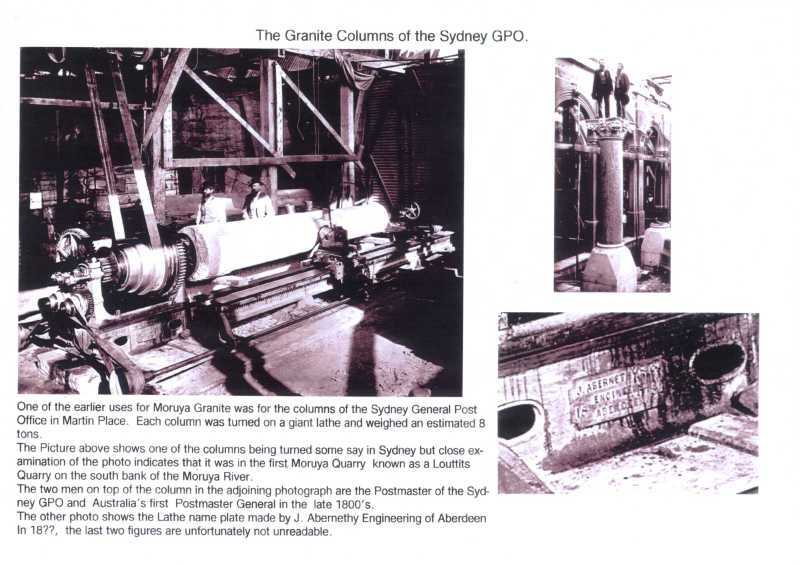 There have existed at least 7 different granite quarries in Moruya's history and one, Louttit's Quarry, located on the south bank of the Moruya River from 1868, took on the task, with this lathe being aquired for the job. 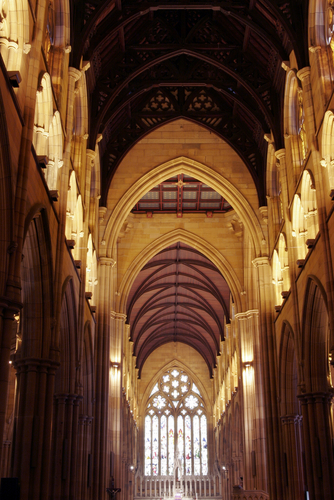 Louttit's were responsible for many other well known Granite works. 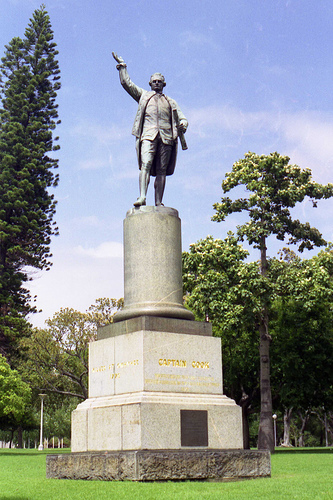 Captain James Cook's statue base, Bank of NSW George St. Sydney (later demolished), 24 small columns in St. Mary's Cathedral, Sydney's Customs House at Circular Quay, and the Bank of NSW, Moruya. 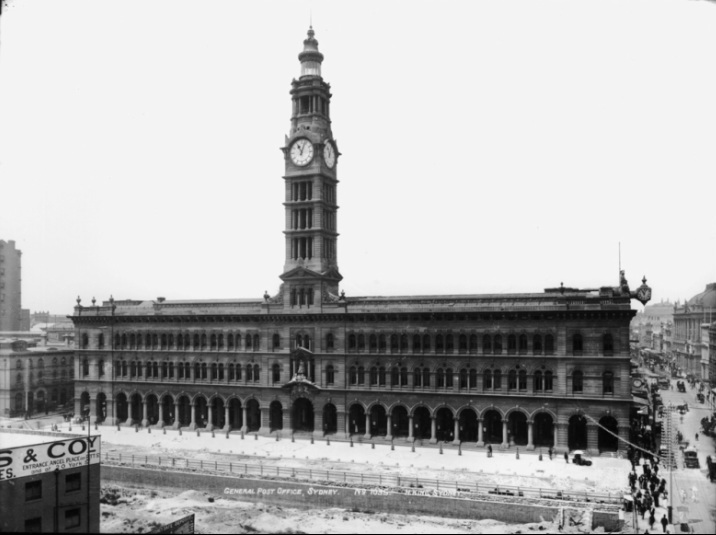 Records indicate that the lathe was last used at the Sydney yard of Loveridge and Hudson in the 1960's. Mr.Ted Hudson donated it to the Lachlan Historic Village in Forbes, in the 1970's. 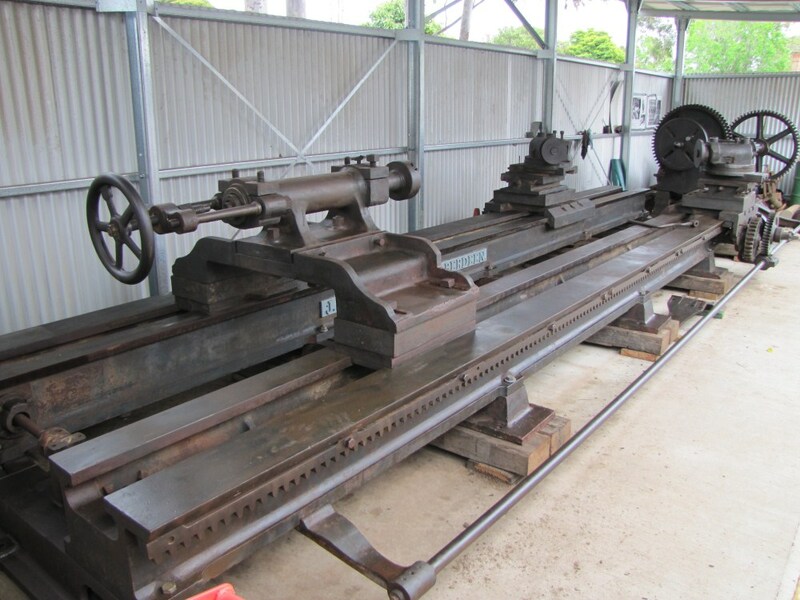 Following disposal at auction in May 1987, the lathe was repurchased by the New South Wales Heritage Council, following recognition of its unique heritage significance and kept at the Forbes Vintage Village on public display. 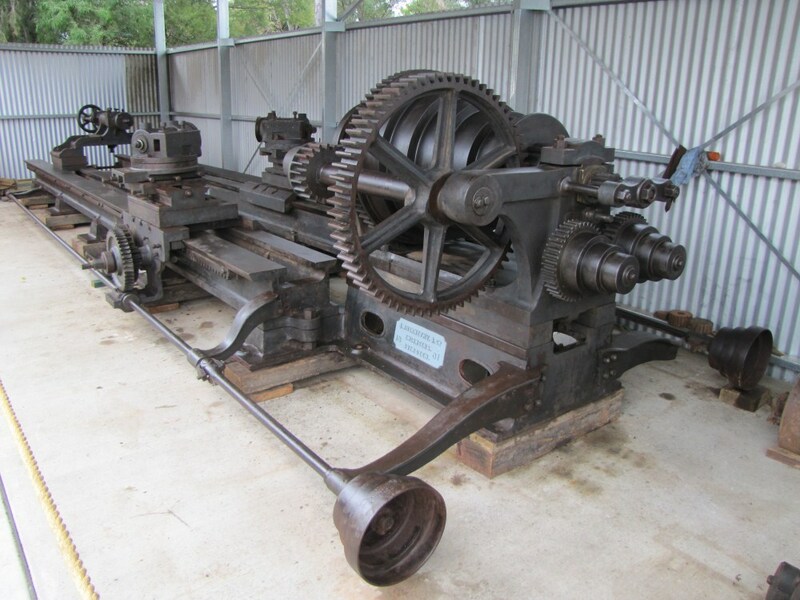 After a long campaign by a sub-committee of Moruya Chamber of Commerce, earlier this year, the lathe was relocated to its present site near the Moruya & District Historical Society in Campbell St. 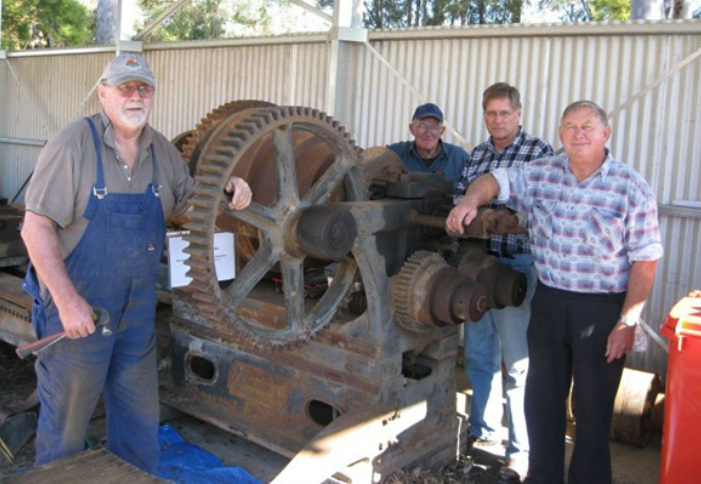 This club was instrumental in its move, with volunteers traveling to Forbes in order to dismantle the shed in which it was housed and to prepare the massive machine for the trip. Since its relocation to Moruya, MATAMA club-members have been steadily removing 130 years of built up grease, grit, grime and rust, while preparing the lathe for preservation. The club has also agreed to maintain the preservation of the machine into the future. 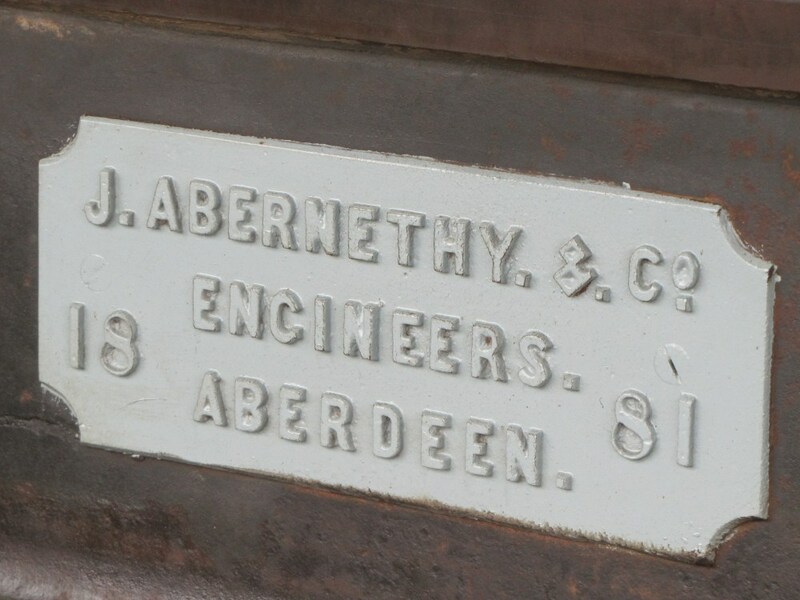 Manufacturer; J. Abernethy & Co; Aberdeen, Scotland. Bob McColl, Mal Hill, Rob Patterson & Dave Hartwig have a spell from cleaning off 130 years of accumulated grot. Photo courtesy of "Bay Post"
Kevin, Mal, Dave, Bob, Barry (& Rob, behind the camera) got stuck in recently and gave the lathe a good going over to protect it against the elements. Barry H helping apply a good thick coat of lanolin. The agreement with Eurobodalla Shire Council means that MATAMA is responsible for keeping up the lathes protection against the elements. Some of our members gathered together recently (April '13) to clean the debris and dust off the thing and give it a new coat of lanolin.